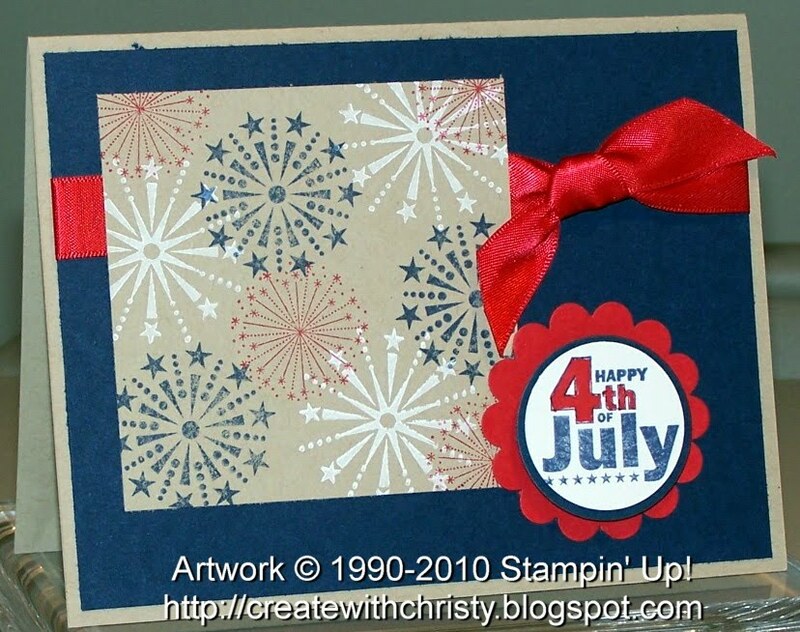 Create With Christy: Happy Memorial Day! I hope you're all having a wonderful Memorial Day. Today, I'm sharing a couple cards that another one of my stampin' sisters made. Mandy H. made these great cards. She used the Fourth of July set on the top card and the Red, White & Blue jumbo wheel on the bottom one. They're both on p. 28 in the Summer Mini. I love this set and wheel. I'll be getting both of them soon, and I can't wait to play with them. Mandy also has a great blog, and you can see it HERE.